Day01 : New Delhi To Haridwar(212 kms/4 Hrs): Welcome to New Delhi(India).Where you will be met & greeted by Hill stations tour planner executive at a convenient location in Delhi.After ample rest you will proceed to Haridwar (Gateway of the Himalaya).Upon arrival in Haridwar,check in at pre-booked hotel & time free at leisure. Overnight at the hotel. Day02 : Rishikesh & Haridwar Sight Seeing Tour: Enjoy the breakfast and set out on a Sight seeing tour of Rishikesh.It is a holy city for Hindus & starting point for treks to Himalayan pilgrimage centres Char Dham such as Badrinath Kedarnath, Gangotri and Yamunotri. People from all across the world come here in search of meditation, yoga and other aspects of Hinduism. Most popular attraction of Rishikesh are Laxman Jhula ,hanging bridge which offers a beautiful and breathtaking view of the river Ganga,Visit Bharat Temple, Rishi Kund, Gita Bhawan, Parmarth Niketan.Post Lunch proceed to Haridwar,an hour’s drive from Rishikesh. 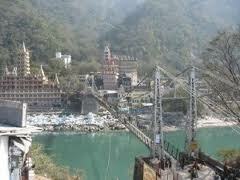 Visit Har-ki-Pauri, It is one of the most sacred Ghats of India and also known as “Brahmakund”. The real beauty is the evening aarti when the ghats of Har-ki-Pauri command rapt attention from the onlookers.There are numerous Hindu ritual and ceremonies performed on the banks of Ganga.After sightseeing in Haridwar return to your hotel and overnight in Haridwar. Day03 : Haridwar To Delhi: Morning drive to Delhi. Upon arrival in Delhi,check in at your pre-booked hotel.Later proceed to visit Akshadham temple ,Birla Mandir,Lotus temple etc. in New Delhi . Overnight at the hotel in Delhi..
Day 04 : Delhi Departure: After breakfast at the hotel, you will be transferred to the airport for you onward flight/railway station or destination. End of the Trip with unforgettable sweet memories. 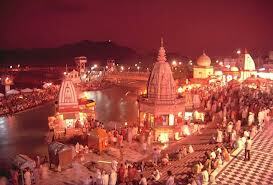 Hill stations tour planner ,thank you for your visit to famous pilgrimage places in India. 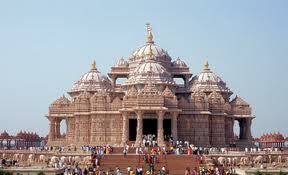 Trip Cost (With Luxury Hotels) : Rs.20,950/Per Person.